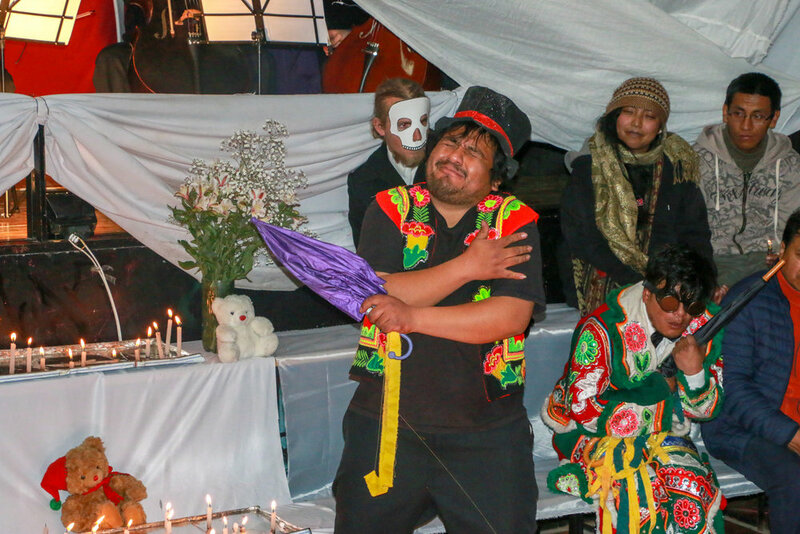 We support the design, research, and creation of a new theater play on Warisata: an Aymara rural community in the Bolivian Altiplano where the most important indigenous education experience in Bolivian history took place in the 1930s, notable for the autonomous methodologies used with independent, local, indigenous self-determination. The main creators will be young actors from 16 to 25 years old, urban Aymara youth, all with deep political-cultural activist backgrounds. The result will be a collective work and a link with diverse audiences, with feedback and dialogue in social nerve centers, where memory is still alive: in Warisata, El Alto, and in local communities of women and young people.